On March 6th, Scream Factory will release a special edition of the 2008 horror/thriller The Strangers, just three days before its long-awaited sequel, The Strangers: Prey at Night. This is, like most of Scream Factory’s releases, a very nice looking two Blu-ray set packed with special features. It’s a must have if you’re a fan of the movie. But if you’re a horror fan who (somehow) hasn’t seen this film yet, your mileage might vary. I remember watching it back in 2013 or so, when my wife and I lived in a one-bedroom apartment and I was up all night with all of the lights out so as to disturb her as little as possible, since she had to work in the morning. I’ve seen a lot of horror movies, and very rarely am I genuinely scared of what I see on the screen. This one, though, rattled me quite a bit. Looking back on it five years later, the movie wasn’t nearly as haunting, not just because I knew what was coming, but because the final act of the film really isn’t that interesting until the last couple of scenes. It’s hard to stretch a premise where three home invaders terrorize a single couple to a 90-minute runtime, and though the movie sets up the premise brilliantly, it doesn’t really work at feature-length. But, no matter. It’s still well worth watching for the parts that work, and if you stick it out until the end, the movie rewards you with one of the most disturbing endings in recent horror history. And make no mistake: The Strangers is intense. With only a little bit of daylight at the beginning and the end of the movie, we’re in the dark for the rest of the time. The movie takes place in the very early hours of the morning, where your mind is liable to play tricks on you anyway, and it’s about the place where we want to feel most safe: our own homes. Humans are on top of the food chain, sure, but we’re still deathly afraid of being stalked, of being prey. Kristen (Liv Tyler) and James (Scott Speedman) are staying at Scott’s dad’s place after having had a fight because Kristen rejected James’ marriage proposal. 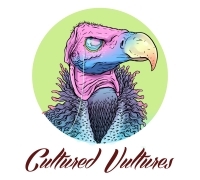 The relationship has apparently come to an end, and the two characters are already in an emotionally wrecked state when, at 4:00 in the morning, there’s a knock on the door. Their torment begins shortly afterward. It’s a simple, very bare-bones setup, and we never learn much at all about this couple. But we really don’t need to. First-time writer/director Bryan Bertino created a film that relies on imagery and sound design to make the film a mood-driven experience. It’s always interesting to hear about a director’s road to realizing his passion project, and this Scream Factory special edition provides plenty in this regard with its generous special features. There’s no commentary track, but there are plenty of interviews across the two discs that give an enquiring mind plenty of brain food to chew on. Bertino’s story is certainly interesting. A horror VHS kid, he won a screenwriting contest in the early 2000’s, and The Strangers was optioned. Bertino was far from the first person to be considered to direct, since he had absolutely no experience in that area, but other offers kept falling apart, so he kind of lucked into his dream gig. In order to “learn” how to direct, he bought a Sidney Lumet book, not just because he liked the director, but because it was the shortest and pre-production on The Strangers was coming up. Interestingly, the core of the film is based on an incident as a kid where someone knocked on his door in the middle of the night and asked if a friend of theirs was there. A little while later, Bertino discovered that a group of thieves were using this technique to see if houses were occupied before they robbed them. One can see how a story like this left a strong enough impression to be the basis for a horror screenplay. 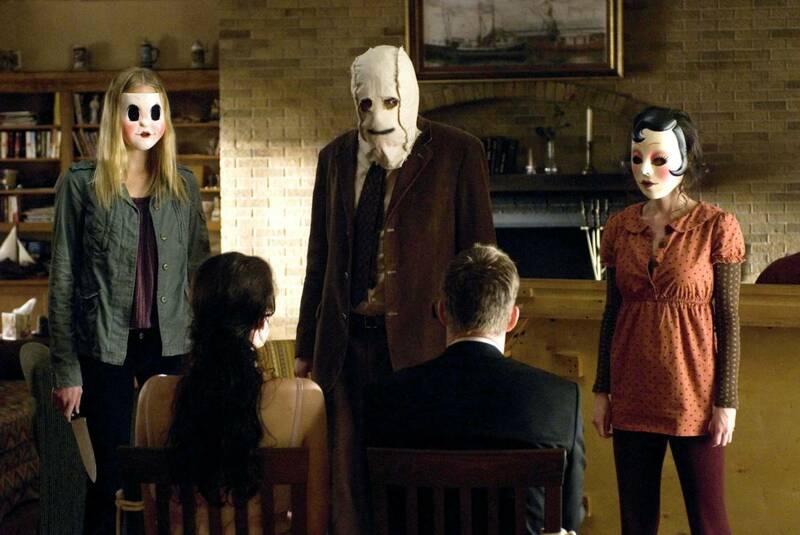 The Strangers isn’t a horror classic by any means, but it has heart and is likely to provide even the most jaded horror fanatic with a few scares. The Strangers special edition Blu-ray will be available on March 6th. The writer was provided a copy of the film for the purposes of a review.